We are proud to announce that inside this year's Player's Lounge we will be featuring one of the best BBQ caterers in the Northwest, My Family Tradition BBQ! 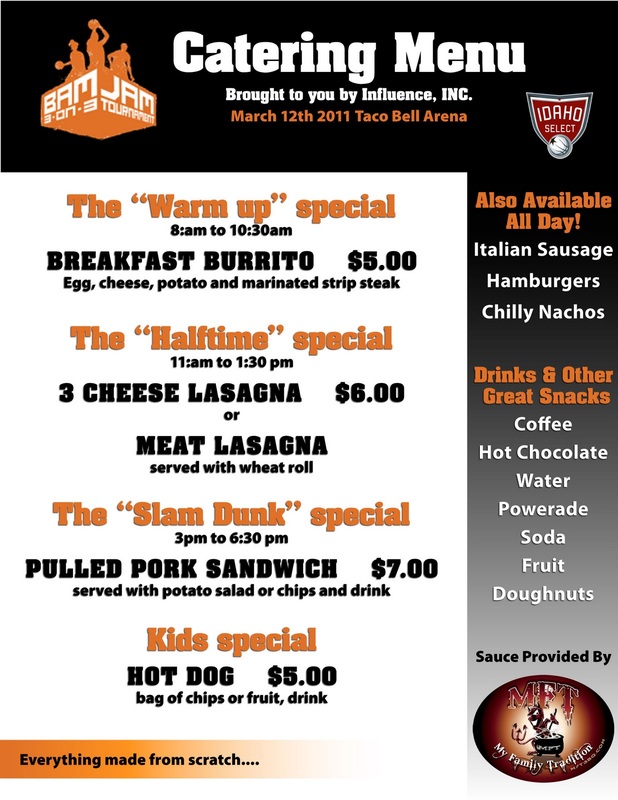 As you can see from the menu (click on it for a bigger image), they will be offering more than just hot dogs and nachos (though you can still get those too). 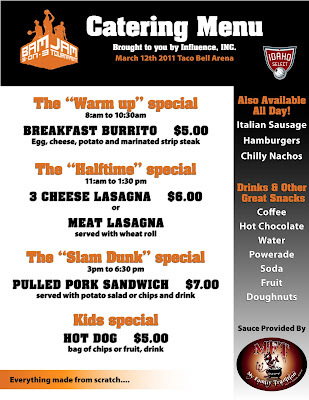 We were lucky enough to sample some of their food (it's a tough job) and our players and fans are in for a real treat. With a menu that covers breakfast, lunch and dinner plus great snacks like fruit, POWERADE and treats, there is no reason to leave the arena. They will take cash and credit cards. What really makes the food is the sauce. My Family Tradition (www.mftbbq.com) has basically perfected BBQ sauce in multiple flavors and levels of hotness. It's made from scratch and you can taste why it is a family tradition. Be sure to stop by the Player's Lounge at BAM Jam. And remember, if you want to get your team registered, the deadline is March 5.